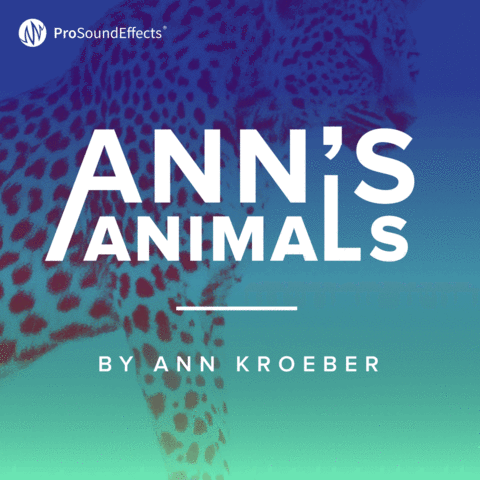 Pro Sound Effects has released Ann's Animals, the fifth exclusive library from their partnership with renowned recordist and film sound pioneer, Ann Kroeber. Ann's Animals features a unique variety of animal sounds and vocalizations including common, wild, and exotic creatures ranging from pigs to capuchin monkeys, tigers, caribou and more. Animal recordings play a significant role in Kroeber's sonic legacy, and she is widely celebrated for her natural approach and expressive results. After decades of experience and material collected from projects with major directors like David Lynch, Carroll Ballard, and Peter Weir, Kroeber created Sound Mountain – an extensive sound effects collection which continues to provide sound for many films and games. 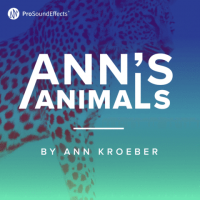 The Ann's Animals library features more than 100 animal sound effects that were captured by Kroeber while working on feature films. "This collection of animals is so close to my heart, " says Ann Kroeber. "I'm delighted to put these sounds out and share them with the world. I think there's something special about this library that makes it so useful because of the way that the critters truly express themselves." The Ann's Animals sound effects library is available now at $149 for a one-user lifetime license. A free sampler including two WAV files selected from the library is available for immediate download at prosoundeffects.com/anns-animals.